You play as Jesse, a woman who has witnessed the cracks in reality. She heads to the Bureau of Control, a secret government agency set up to parse the unknowable, drawn there by a sinister hum. The Bureau has been taken over by an entity (perhaps entities, gas, radiation, or interdimensional energy) that twists the innards of the facility, as well corrupting the agents within. The Bureau calls this manipulative force the Hiss. 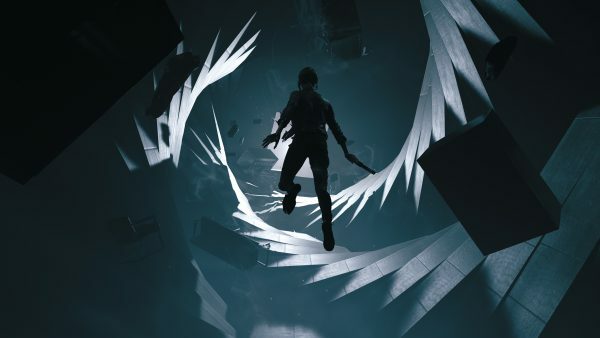 Control is shaped by a genre of fiction called New Weird and takes influence from novels such as Annihilation and House of Leaves. In the latter, a strange corridor appears inside a house, eventually spiralling down into a space so vast that it warps people’s minds. In the book, the strangeness slowly creeps in as the characters attempt to understand irregularities via scientific methods – just like how the Bureau of Control wants to parse the otherworldly Hiss. The game takes place in the Bureau’s command centre, known as The Oldest House – a bleak, brutalist skyscraper located in the heart of the city. Jesse arrives at The Oldest House with fresh eyes, just like the player. On arrival, the Director of Control is killed and the facility goes into lockdown. Jesse picks up the Director’s weapon and takes up his mantle to fight through the facility. If the premise sounds confusing, that’s intentional. Nothing is meant to make sense in this place, but you slowly learn to understand its twisted logic as you battle your way through. I see glimpses of this in the demo. At one point, Jesse must use dream logic to bypass a dead end. In front of her stands a blank wall, a lightswitch dangling next to it. After flicking the lightswitch on and off a few times, a door appears where there wasn’t one before. It reminds me of how experiments in quantum physics behave differently when under observation. A side mission in the demonstration sees an agent trapped in an experimentation chamber with a refrigerator. He says he can’t take his eyes off it because it might “deviate” – I guess observation really does change the outcome in Control’s world. Either way, you can choose to insert yourself into these self-contained stories, or you can carry on pursuing the main questline. It’s completely up to you if you want to observe the outcome or not. I just hope you can live with yourself if that guy is eaten by the fridge. 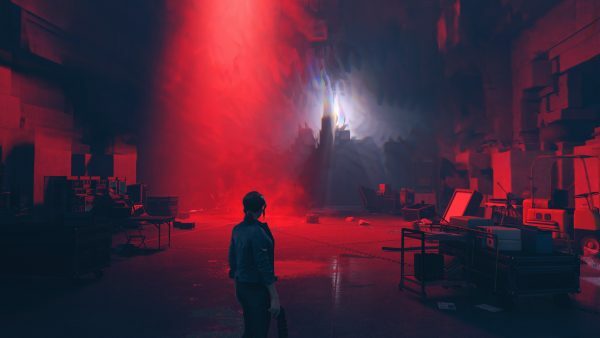 The story and world are clearly the main pull here, and I can’t think of another triple-A game that does unsettling, hair-raising weirdness quite like this. It’s not always overtly creepy like a horror game – everything just seems off, like something lurking in the periphery. 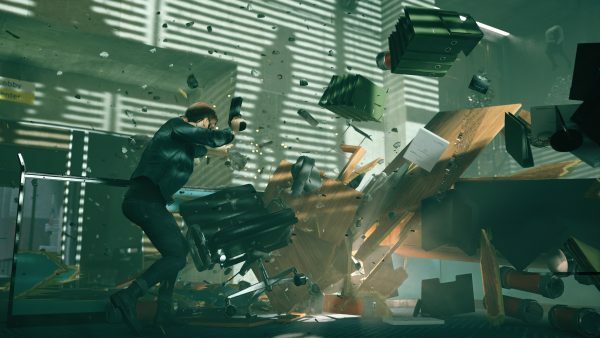 Of course, this being a game from a developer known for kinetic and dynamic gunfights, Control will also aim to deliver there. You have a range of supernatural powers and will be free to fling any part of the environment at your foes, or grab debris from your surroundings to create a shield. At one point, Jesse gestures her hand and catapults a forklift at a corrupted Bureau agent. Jesse also has a shapeshifting sidearm called the Service Weapon, which transforms into different weapon types, all of them capable of tearing through the fully destructible scenery. “In our past games, the player always went through this world and collected an arsenal that they brought with them and it didn’t fit into the world, it didn’t feel right,” Kasurinen explains. “That’s when we started thinking about this iconic weapon, like the lightsaber for a Jedi. The Service Weapon is the supernatural weapon of the Director – the inspiration is the story of the Sword in the Stone, where whoever pulls the sword from the stone becomes the king. 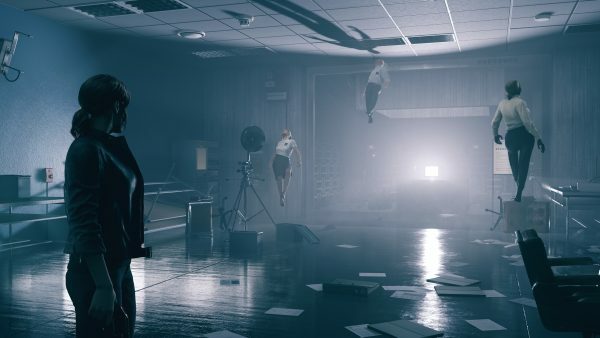 Out of all the games I saw at gamescom, Control’s mind-fuckery is what stayed with me the most: combat looks fresh, dynamic, and exciting; the story and its mysteries draw you in, just like The Oldest House pulls Jesse to its door; and everything seems in place for it to be the most interesting shooter Remedy has ever made. I just hope it doesn’t deviate.